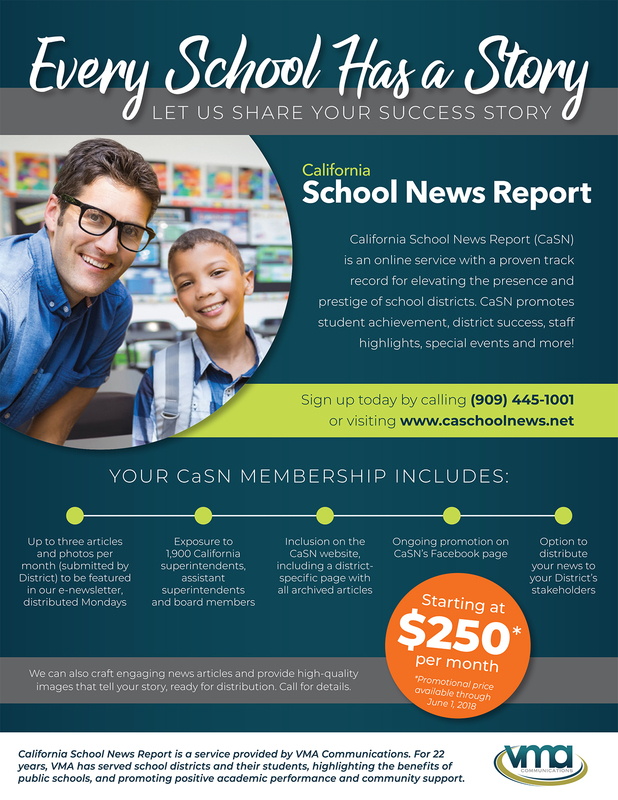 California School News Report (CASNR) is an online media service developed to promote media coverage of events, programs and services in California schools—creating a coordinated pipeline of school news that is current, diverse and thorough. CASNR is a service provided by VMA Communications, a full-service bilingual/bicultural communications firm focused on developing policy-driven public affairs programs and increased community awareness. For more information about VMA Communications, please go to www.vmacommunications.com. 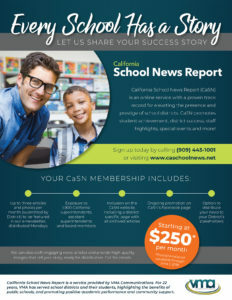 For more information about California School News Report or to advertise, contact us at (909) 445-1001 or via email at info@caschoolnews.net. A service of VMA Communications.